If you were born between the Start and Finish dates listed below, you are a Rabbit person. The spirit of the Rabbit lives in your heart. Depending on your year of birth, you will also have one of the five elements associated with your animal sign. Elements occur for two lunar years. The first year is Yang (+), the second is Yin (-). There are many differences between the different element types of Rabbit. Below is a broad description of the Rabbit personality. The Rabbit is regarded as the most refined and well-mannered of the signs. You are kind and sensitive, and able to give good advice. Rabbits are the most long-lived of people. At times you can be moody, detached and self-indulgent. Appearing quiet and vulnerable, the Rabbit is strong-willed and unobtrusively determined. Throughout life it will be seen that you will avoid conflict at every opportunity. Outwardly indifferent, Rabbits do not cope with criticism well and may avoid close associations. Those who make too many emotional demands upon you will find themselves no longer a part of your life. Rabbits look after themselves. Rabbits are famous for their business and monetary success. The outward lack of aggression works well in these areas, for the Rabbit is a master of negotiation and compromise. Any bargain struck will generally favor the inscrutable Rabbit. Not renowned as hoarders of money, Rabbits know how to enjoy themselves and will surround themselves with all of life’s creature comforts. You are most likely a good diplomat and host. Mistakes are few throughout the Rabbits life. This is due to your cautious and non-committal nature. 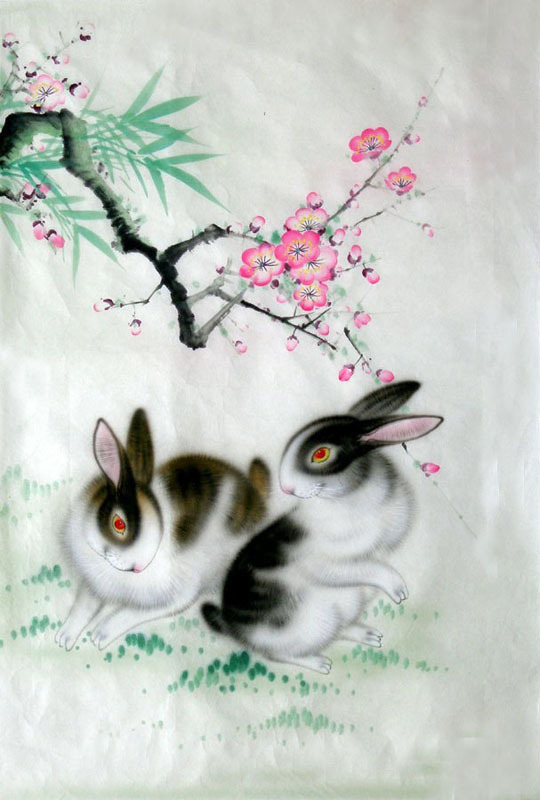 While it is difficult for others to be certain of what a Rabbit is thinking or feeling, one can be sure that the Rabbit does not have this problem. You have an excellent ability to assess people and situations. Your advice is worth listening to. The greatest gift that a partner can offer you is emotional security. This will probably be valued more highly than love itself. Rabbit parents are non-demanding. Rabbit children are sweet and well-behaved. They may also exhibit great talent in talking their way out of trouble. Their feelings are easily bruised. You will get along best with those born in Sheep and Dog years. Relationships with Tigers, Roosters, and Horses can be difficult.